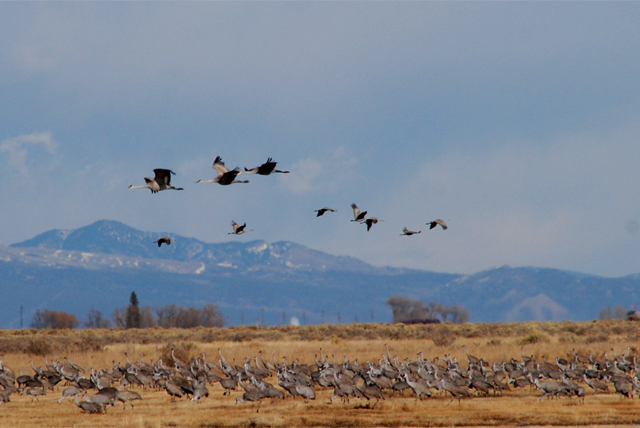 Well we finally decided to take a trip out to the Monte Vista National Wildlife Refuge to see the 20,000 strong Rocky Mountain flock of sandhill cranes migrating north from the Bosque del Apache National Wildlife Refuge in New Mexico. 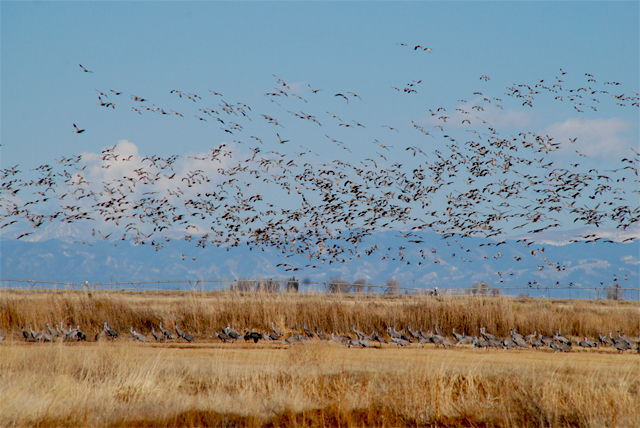 This refuge is where they fuel up with grains for their 850 mile journey north to their summer breeding grounds at Grays Lake National Wildlife Refuge in southeastern Idaho. The kids were excited from the beginning and surprisingly entertained with the active birds as they flew in and out of the meadows, stopping occasionally to strut their moves in their courtship dances where they leap and bow while flapping their wings while making a croaking sound to each other (check out the end of the embedded video below to hear them). 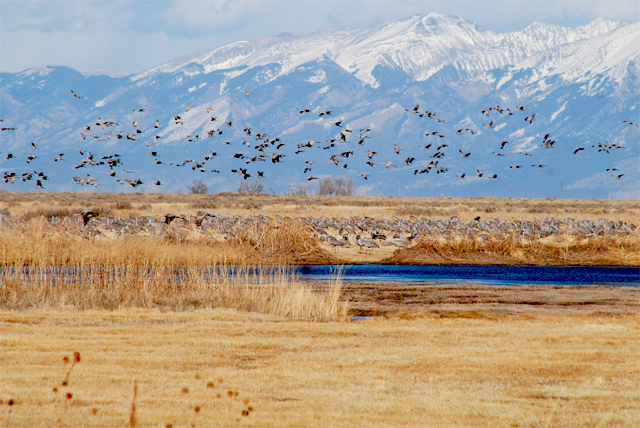 The Monte Vista Wildlife refuge is also an outstanding place to view other birds such as the lesser sandhill cranes, thousands of ducks and geese, bald eagles wintering and other raptors. We visited on the last day of the Monte Vista Crane Festival but got there too late for the organized events. But it was easy to find. From Pagosa Springs we took Hwy 160 east over Wolf Creek Pass and took a right on Gunbarrel Road (15) in Monte Vista where 285 breaks north from 160. The refuge is about six miles south of Hwy. 160. 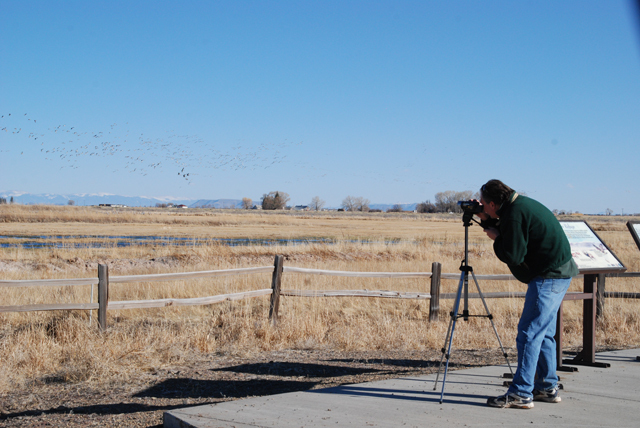 Mellane took this picture of me trying to shoot decent video of the cranes with the wind howling mercifully. You can get a an idea of the wind conditions from the video below. The video below shows Evan having a great time running along the road while I was filming. My Evan! How I love you!